Adsorption, 22 (2), 247-260 (2016). DOI: 10.1007/s10450-016-9762-4. 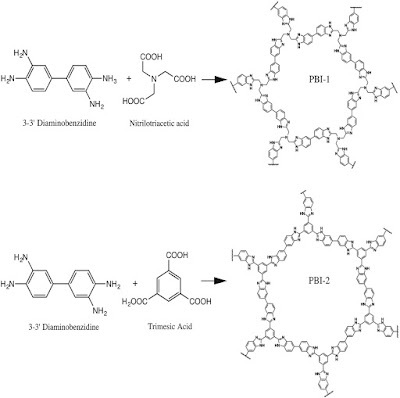 Porous polybenzimidazole polymers have been under investigation for high and low pressure CO2 adsorption due to the well-built stability under high pressure and at various temperatures. Pressure swing and temperature swing processes like integrated gasification combined cycle require materials which can operate efficiently at high pressure and high temperature and can remove CO2. 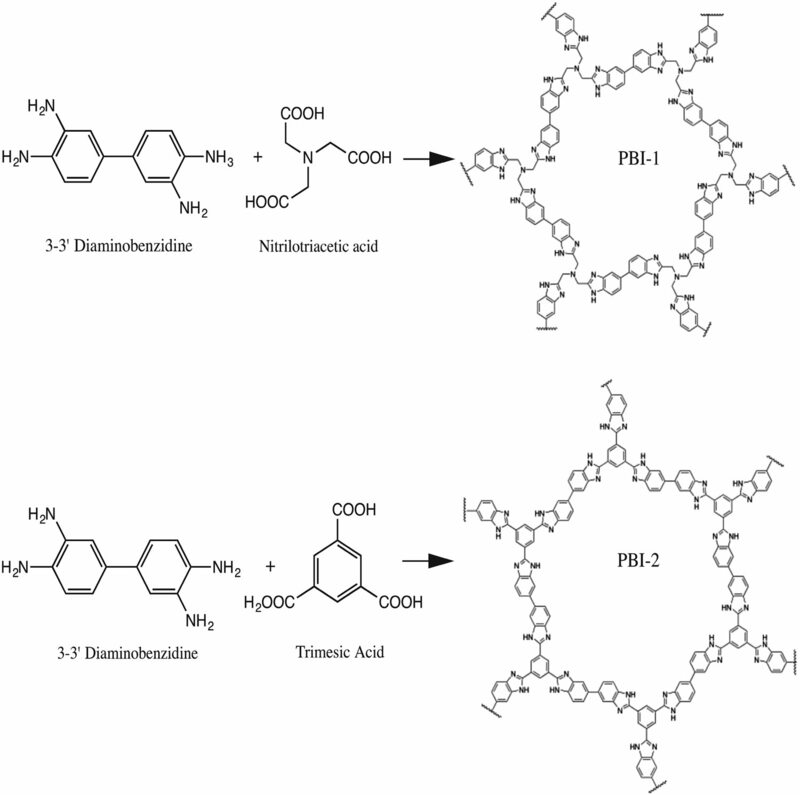 In this manuscript we report synthesis, characterization and evaluation of two polybenzimidazole materials (PBI-1 and PBI-2), which were prepared with two different solvents and different cross-linking agents by condensation techniques. Low and high pressure CO2 sorption characteristic of both the materials were evaluated at 273 and 298 K. Thermal gravimetric analysis showed high temperature stability up to 500 °C for the studied materials. PBI-1 has shown very good performance by adsorbing 3 times more (1.8025 mmolg−1 of CO2) than PBI-2 at 0 °C and at low pressures. Despite low surface area results obtained via BET techniques, at 50 bars PBI-1 adsorbed up to 6.08 mmolg−1 of CO2. Studied materials have shown flexible behavior under applied pressure that leads to so-called “gate-opening” adsorption behavior and it makes these materials promising adsorbents of CO2 at high pressures and it is discussed in the manuscript in detail.